my account has been blocket please unblock my account. 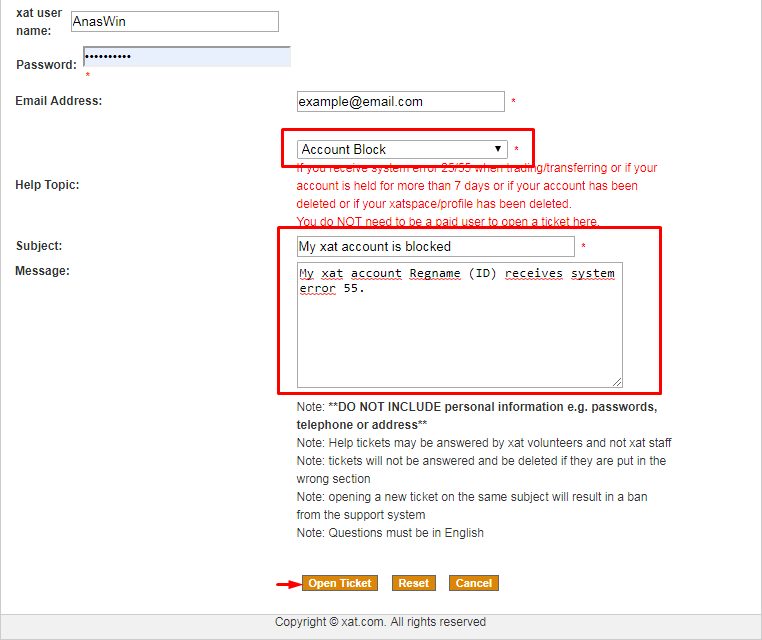 Write the e-mail associated with the account has the issue. Write the subject and remember it has to be at least 5 words. Write the message describing your issue. And click on open ticket. An example for creating a ticket. After doing this you just have to wait an answer in your mails by xat, then keep answering the questions from volunteers till your problem be solved. Please bare in mind that the ticket will take a while, because you'll need to confirm the ownership of the account.